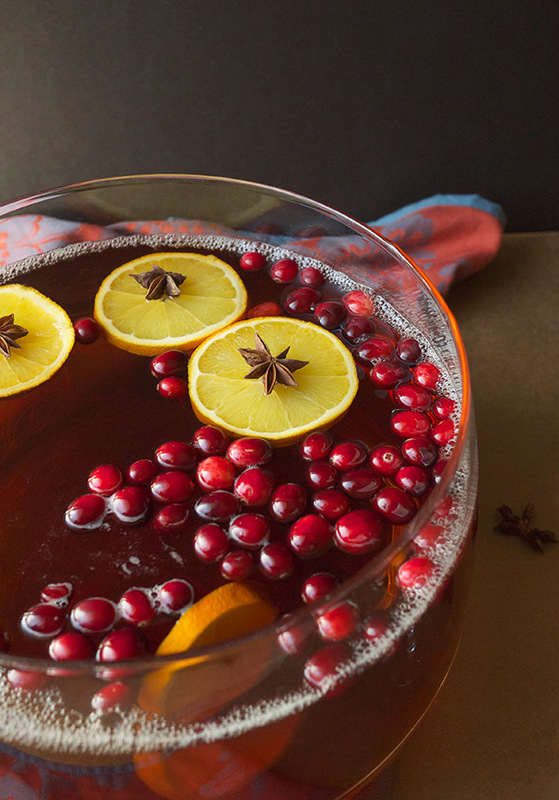 Holiday season is punch season. 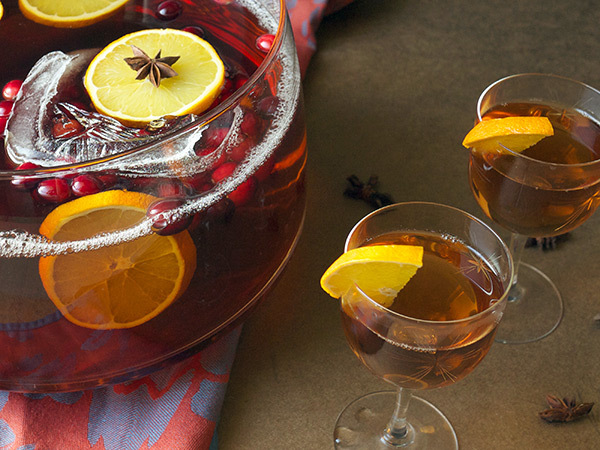 Ok, well, holiday season means more punch at every party. Everyone wants a punch, but let’s be honest, most of them are pretty meh. Holiday season also means that hosts are pulling out the good booze because, hey, they’re in the spirit of sharing right now. I see a lot of Scotch brought out. Good scotch. Sometimes so good I’m hesitant to tell the host they should hang on to it and not start passing it about willy nilly. But then I’m selfish and want to drink said scotch so I’m shutting up about it. This holiday season I decided to combine both. I also wanted to create a punch that people who turn their noses up at scotch would like… and I did it. In fact, I got to test this punch out on a pretty varied crowd before I posted it. Initially when I showed up with the punch, people would eagerly ask what was in it then inevitable scrunch their nose as I listed scotch as an ingredient. People who don’t usually drink scotch really tend to have strong opinions about what they assume it will taste like: gym socks, band aids, burnt…stuff… So they already have a negative opinion before they start. But the thing about holiday parties is that you always end up staying longer than you thought, and by this point you’re drinking whatever is left. For these people, initially turning down the scotch punch, they begrudgingly took a glass after finding out someone had drank all the good champagne. And then they found themselves confounded: they really liked the punch made with scotch. Color me amused when the same folks who seemed genuinely annoyed/disgusted/sad when told the giant bowl of punch was made with scotch later came up to me with giant grins asking again what was in that punch? Had I just made converts of this bunch? It’s holiday time, the season of giving, so I hope you all will allow me this one time to toot my own horn and smirk just a little as person after person drank up a scotch punch they earlier swore they’d never touch. Curious about the name? If you know your holiday songs, then you’ve recognized this from the 12 Days of Christmas. My punch, with 9 integral ingredients, was for a party with this theme. The Table Set guys sure love a theme party. Now it’s your turn to try it. Please, be honest, and let me know if I’ve made you a convert too. In a medium saucepan, combine cinnamon sticks, vanilla bean seeds and pod, sugar, and water. Bring to a boil over medium high heat, remove from heat and let stand for 1 hour. Strain. The syrup can be refrigerated in an airtight container for up to 2 weeks. 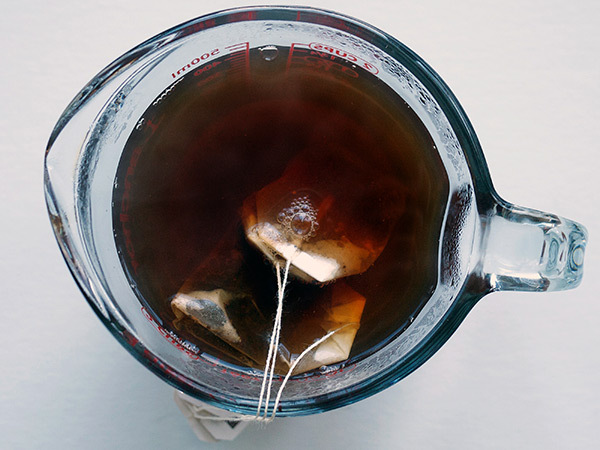 Combine boiling water and tea in a heatproof container. Let steep for 4 minutes. Discard tea bags and let tea cool to room temperature before adding to punch. 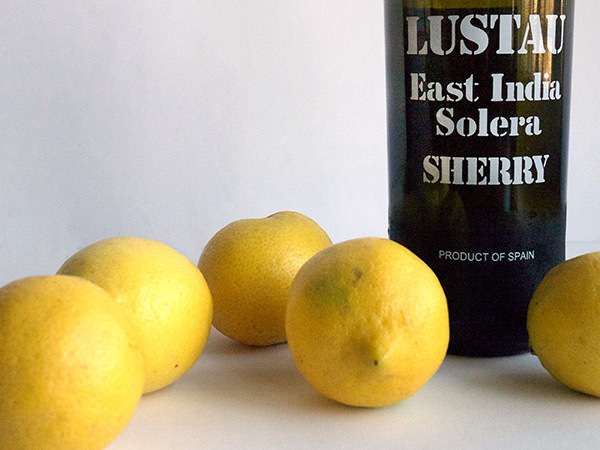 In a punch bowl or large container, combine Scotch, sherry, lemon juice, syrup, tea, and bitters. Stir to combine. Refrigerate for 5 hours or up to overnight. When ready to serve, add an ice block and garnish as desired. *If you want to get really festive, you can add some decorative elements to your ice block. I added extra cranberries to mine. As the night progresses and the ice melts, they’ll start popping out and floating about. So make sure whatever you use is washed and makes sense with the rest of the ingredients! So yes, scotch is definitely present. I chose Monkey Shoulder blended scotch, which offers a strong punch of malt, smoke, and baking spice flavors, perfect for a winter punch. Next I added in some chai tea just below full strength. The tea adds a wonderful assortment of appropriate flavors: cinnamon, cloves, star anise, cardamom and black pepper all work beautifully with the whisky. Then I followed that up with Sherry for a little sweet nuttiness; Angostura for bitterness but also extra spice; and vanilla-laced cinnamon sugar syrup for a slightly floral and woodsy sweetness. This recipe was originally posted on Serious Eats.